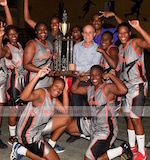 It was a monumental struggle but Lady Cougars endured to stage a comeback and beat Pinelands 2-1 in a three-game final series to become the Barbados Amateur Basketball Association Women's Premier League champions for 2018. The champions who were twice before crowned the island's basketball queens appeared well on their way to a third title when they won the first of the three-game encounter last week, but Pinelands, who held the championship once before, showed intent and made clear that the finals would be no walkover and won the second game over the weekend. With the series even at 1-1 Pinelands continued to make Lady Cougars struggle of their third championship by holding the game to a 74-all tie at fulltime in the Garfield Sobers Gymnasium. The Lady Cougars then pulled extra willpower from deep within to outplay Pinelands in the five minutes of extra-time, ending the game and series 85-79. That play earned the Lady Cougars the '#1 Beauty Supplies and Exchange Barbados Amateur Basketball Association Premier League' trophy and bragging rights for this year. Top scorers for Lady Cougars were Toni Atherley (173-G-83, college: Fresno St.), 33 points; Astrid Alleyne (185-F/C-78), Jennifer Joseph- Hackett, and Tiffany Thorpe (178-F/G), 12 points each; and Ria Phillips (170-G-82) contributed by putting in 10. For Pinelands Maria Cumberbatch (163-SG) sunk 20; Latifah Wood (98), 18; and Tamisha Flatts (170-PG) 13. 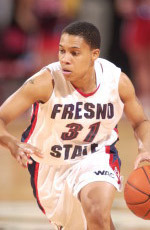 Toni Atherley was named the season MVP. The most exciting game of round 7 in the BABA took place in . This derby game ended with only two-point home defeat of their biggest opponent Lady Cougars (4-3) to first ranked Pinelands (6-2) 63-61 in the game for the first place. Pinelands have an impressive series of six victories in a row. Defending champion maintains first place with 6-2 record. Lady Cougars at the other side keep the second position with three games lost. Very significant was Lady Cougars' (#2, 4-3) victory against 3rd placed Lady Tridents (1-6) 62-47. Lady Cougars maintains second place with 4-3 record having just three points less than leader Pinelands. Lady Tridents lost their sixth game in a row. They stay at the bottom position with six games lost. Round 6 in BABA means a new league leader. The biggest surprise took place in where host Pinelands (5-2) beat league's leader Lady Cougars (3-2) 59-49 on Tuesday evening. Pinelands have an impressive five-game winning streak. Defending champion maintains first position with 5-2 record. Lady Cougars at the other side dropped to the second place with two games lost. They were replaced at the leadership position by Pinelands. Lady Cougars will play next round against strong Lady Tridents trying to make it back to the top of the standings. Pinelands will try to continue on its current victory against second ranked Lady Cougars on the road. An exciting game was played in . First ranked Pinelands faced 3rd ranked Lady Tridents. Guests from (5-2) smashed host Lady Tridents (1-5) 70-46. Pinelands have an impressive five-game winning streak. Defending champion maintains first position with 5-2 record. Lady Tridents lost fifth consecutive game. They stay at the bottom place with five games lost. Pinelands will play against league's second-placed Lady Cougars in the next round and it will be for sure the game of the week. Lady Tridents will play against the league's second-placed Lady Cougars and it may be a tough game between close rivals.